Risk is Real. Use it. One of the main themes in the college course I teach is risk. What risk means, what actions have more risks and how to weigh the risks of what we do day-to-day. Some are obvious- like running red lights at rush hour on your track bike. Pretty clear risk involved. Less obvious risk is being sedentary. My students struggle to understand how being at home on the couch can be risky- because the world around us is so dangerous. Aren’t we avoiding risk and danger by being ‘safe’ at home, in front of the tv? Goran Kropp bicycled from Sweden To Nepal (roundtrip!) 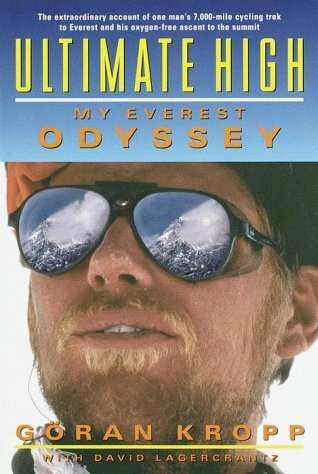 and climbed Everest solo w/o supplemental oxygen. I found his book when I was hit and nearly killed while riding cross-country in 2001. He died while rock climbing in Seattle in 2003. This organization exists in his honor. The answer is complex, but I stand by mine: no. Being physically inactive is an independent risk factor for every major chronic disease from type-2 diabetes to cancer. This we know. But I posit that being active runs deeper than that. Evolution has given us phenomenal bodies. We can run. We can bike. We can swim. At (relatively) fast speeds. For incredibly long distances. We can sleep for a night and get up and do it again. Or not sleep for a night and still do it again. This resonates metaphysically and benefits our mental health. I tell my students that we aren’t designed to sit in offices all day. And I mean more than our bodies when I say this because our brains also have (need!) larger ambitions. So getting out and being active is necessary for our health. Short term and long term. Physical and mental. But how much and to what capacity? At what point do the benefits out weight the risks? 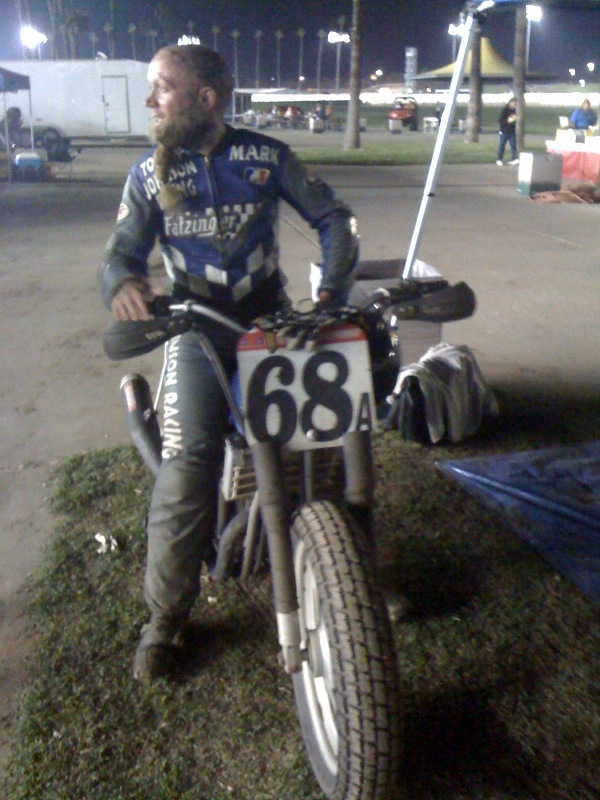 Mark this year at a Pomona Flat Track race. He snuck me into the racers area where I hung out, in awe. These days Mark is a flat-track and endurance off-road motorcycle racer. He is one of those people who puts absolutely everything into what he loves. In that same college course I use him as an example of Obsessive-Compulsiveness. He told me once that he got home from his job as a motorcycle mechanic, ate dinner and went to work on one of his bikes in the garage. Next thing he knew the sun was coming up. ‘I had to shower and eat breakfast and get to work! Didn’t realize I had worked all night.’ He’s that dude. If his thing was business he’d own a Fortune 500 Company. If it was law he’d have appeared in front of the Supreme Court by now. But it’s motorcycle racing that he loves and obsesses over. Which brings us back to risk. Six weeks ago Mark was in a crash that nearly killed him. He had just raced the insane Baja 1000, a 1000-mile off-road race through the Baja Peninsula. The day after, someone was lost and he was out looking for him with a group. After locating the missing racer, Mark was riding his motorcycle up the road to tell the other group he had found him and to slow down. But the group had just stopped and in doing so created a dust storm. Mark never had time to react and went off the road into a rock-filled canyon. He wasn’t going very fast, he wasn’t racing or doing tricks or anything risky. Just riding. The fall nearly killed him. Mark doesn’t have many sponsors, but does have a helmet one. His top-of-the-line helmet was completely smashed. He had all of his protective racing gear on from the day before, normally he would not. Still, he broke ribs, his arm, punctured a lung and got a severe concussion. When the first person got to him he wasn’t breathing. Luckily that person has emergency training and got him breathing again. The group sent out an emergency call and a helicopter was there within minutes. If it was not for the race infrastructure still being in place, there’s no question he’d be dead right now (or ‘on the wrong side of the dirt’ as he put it). He doesn’t remember the two weeks after the race. Six weeks on and he is still mostly bed-ridden. His memory goes in and out. His brain is playing tricks on him. But he is expected to make a full recovery. Upon reading this many people would think, ‘that’s it, no more motorcycle racing.’ That didn’t even come up. He just said it’d be awhile before he can race again. We both know he will. Jure Robic won Race Across America 5 times. He was killed this year while cycling near his home in Slovenia (photo and more here). It reminds me of a tragic BMX crash when I was a teenager. A local rider named Jeff Crawn (video) broke his fork on a routine box jump at a skatepark. He hit the ground hard enough to paralyze him. He remains paralyzed today. My friend Taj Mihelich witnessed it and later wrote how he didn’t know what to do. His friend was taken away in an ambulance and would never walk again from riding BMX. Yet the only thing he knew to do was to keep riding, which he did. What would you do? Everything has risk. Driving in a car. Living in a city. Being a political activist. Being an environmental activist. We can be killed (or injured or jailed…) at any time and there’s only so much that we can do. After I spoke with Mark and when I think about Jeff it makes me want to hide in my bed. The world is dangerous and the risk of death is very real, every day. Then after awhile that fear turns to motivation. Because death is so real it makes me want to live more. It takes a lot of courage to be honest about the risks we face every day and to still take them. Most people are frozen by these very real fears. The people who do amazing things are not without fear, but understand it and use it as motivation. I have some crazy ideas for 2011, some with real risk. For my physical and mental health I have to understand these risks AND take them. It’s the only way to truly live and I’d be miserable if I didn’t do them. The death and injuries I know about force me to be as careful as possible, to always appreciate my health, and appreciate having the ability to do what I do. I wish you the best in doing the same. Thanks for reading and happy 2011. Ps. You can donate to Mark’s medical bills here.